When it comes to futuristic concepts in the world of cars, leading car companies have been incorporating 3D printing and even 4D printing in the designs. However, even if the car companies might be years away from even making one run, a Local Motors already has the first road-ready 3D printed car, and the most exciting part is that pre-orders might be available this 2016. Keeping in mind the knowledge of how one works, LM released a video of showing consumers how a 3D printer can produce an entire vehicle. The company created a very informative “3D Printing 101” video to educate future customers about the product. Adam Kress, the PR manager for Local Motors, shared that in the light of their developments, people have been asking him different questions about the products they manufacture and to answer all of those questions about the company, the PR team decided to show it all in one video. The printed parts that were shown in the video only show the materials used for the model- The LM3D Swim. 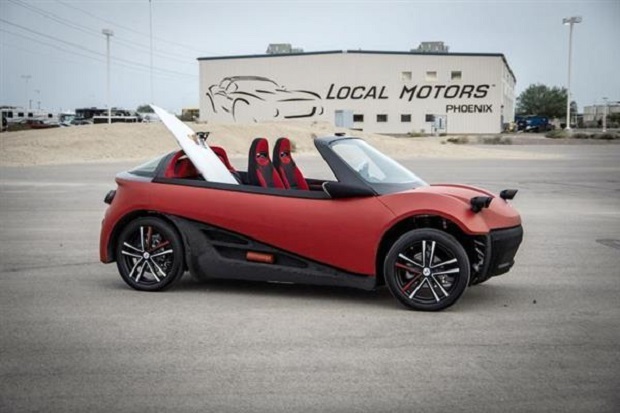 The company labeled it as “safe, smart, and sustainable 3D printed car consists of interesting facts during the process such as roughly the car only has 75% printed parts, and it expected to rise to 90% in the final process. Materials used for the car consists of 80% ABS and 20% carbon fiber. In addition to the features, crash testing will be completed later this year and the aim is to make it safer than the cars that people are driving now. The MSRP of the 3D printed vehicle is estimated to be at $53,000. To improve the product, LM partnered with different industry leaders to enhance the driving experience by incorporating high-tech features to the car. IBM for the IoT technology by using IBM Watson, SABIC for improved materials, IDEO for the labs, and Siemens Solid Edge for the CAD modeling. The car is full of surprises, and LM is not afraid to show how their product is made and how it can help consumers understand more interesting facts about the LM3D Swim model. The 3D model starts at the designing stage wherein it will be converted to a .STL file. It will be sent to the engineering department where there are specific instructions on how to print the parts. 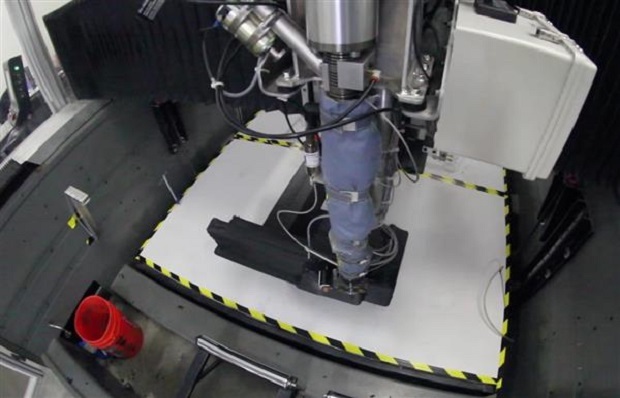 An operator will run the model through a slicer where it will be broken down into layers and finally everything will be sent to BAAM 3D printer. 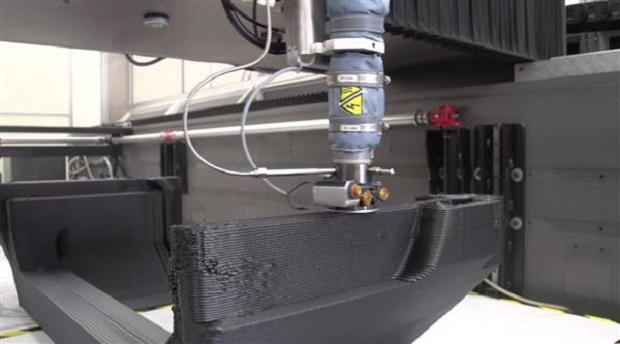 The BAAM is the one of the world’s largest 3D printers, and this can print big models within six days such as a full-scale Shelby Cobra and even houses. Printing in a massive scale can never be as fast and efficient when done by a BAAM printer. Carbon fiber materials and ABS are printed out layer by layer during the process which is heated to form dried pellets at 410°F and extruded. Five hours later each part is ready for assembling. 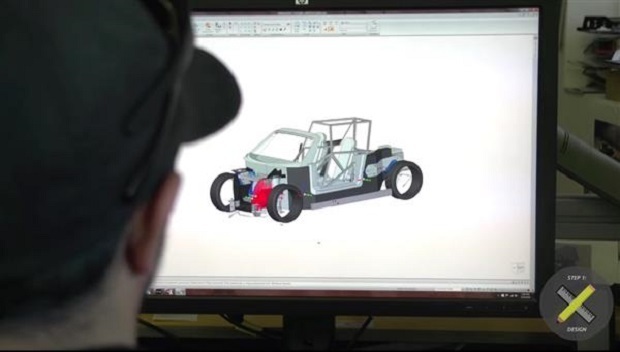 Local Motors will be the first of many to produce a 3D printed car if fruitful and educating the consumers with the video is only the first step in introducing the car to the industry.